No. D.3202-N/35 dated the 26th July 1935.
" Trucial Coast The historic term used by the British to refer to the Gulf coast of Trucial Oman, now called United Arab Emirates. 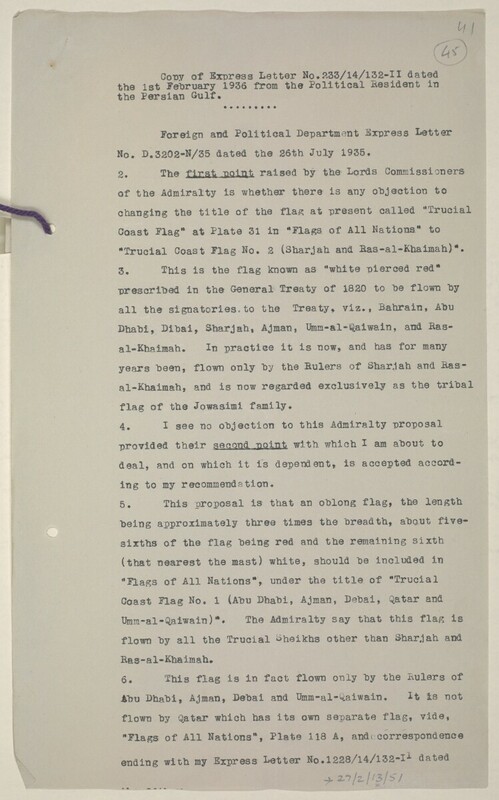 Flag No, 2 (Sharjah and Eas-al-Khaimah)*. flag of the Jowasimi family.